At Nowra Farmers Market, not only are we committed to providing our community with the freshest, seasonal produce, we also have a strong desire to support local farmers and producers in the South Coast region. Our relationship with nearby growers means produce often makes it from the farm to our shelves within 24 hours of harvesting. 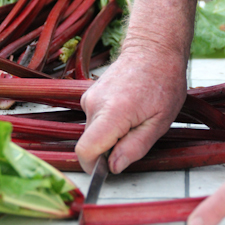 Here’s a brief introduction to just some of our local growers and producers. A hobby farm managed by a group of South Coast locals, the land is leased in exchange for fresh produce. The farm grows spinach, pumpkins, carrots, shallots, beetroots, rhubarb, potatoes and cauliflower. 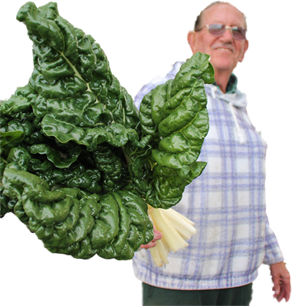 Their vegetables often make it to Nowra Farmers Market on the same day they are picked! The Contadino Olive Farm applies their Italian heritage to growing and harvesting their olives. Locally producing the finest olives and olive oil, vegetables and homemade products – free from preservatives and chemicals leaving produce full of natural flavour. Owned by the Dunbar family, this farm has a cruelty-free approach to rearing chickens. Their chickens graze happily on the lush green pastures of Tomerong and receive no growth hormones or stimulants. You can find their free-range eggs in the cold section of Nowra Farmers Market. This honey farm in nearby Ulladulla produces uniquely flavoured honeycomb and a delicious array of honey varieties, including creamed honey. Jason’s family have been growing strawberries on the South Coast for more than two generations. Jason’s strawberries are some of our best local produce and fly off the shelves, so don’t miss out when they’re in season. John brings us the freshest radishes, silverbeet and other seasonal produce from his farm in Woollamia. Grown just an hour down the road, Higgins Creek Farm blueberries are seriously some of the best we’ve ever tasted. They’re a real summertime treat to look forward to each year. Established in 1911, The Berry Rural Co-operative Society Limited launched its South Coast Dairy brand in 2005. Their award-winning milk is produced by local farming families with deep roots in the South Coast community and is a favourite among many of our local customers. Who doesn’t love a local coffee? The Daily Grind is a Gerringong gem, with every batch of green coffee carefully roasted by Master Roaster John Svinos to bring out its very best qualities. Associated with coffee farms that carry the Rainforest Alliance Seal under the auspices of the Sustainable Agriculture Network SAN to be Rainforest Alliance Certified means. Nowra Farmers Market proudly stocks their freshly ground beans in-store. There’s something for everyone at Nowra Farmers Market. Lorraine caters for those with particular dietary requirements and regularly provides us with locally baked fresh bread that’s gluten-free, dairy-free and egg-free. A South Coast favourite, Berry Sourdough is renowned for their breads, pastries, cakes and savouries. Nowra Farmers Market proudly stock their freshly baked, slow-fermented artisan sourdough bread varieties, which have been kneaded by hand. Jim and Deborah from the Ravensthorpe Kitchen supply Nowra Farmers Market with a delicious range of homemade bread shards and aromatics. Just up the hill in the Southern Highlands, Cuttaway Creek berry farm produces a multi-award winnning range of jams and condiments. Their products are handmade on the farm and contain no artificial colours, flavours or preservatives.